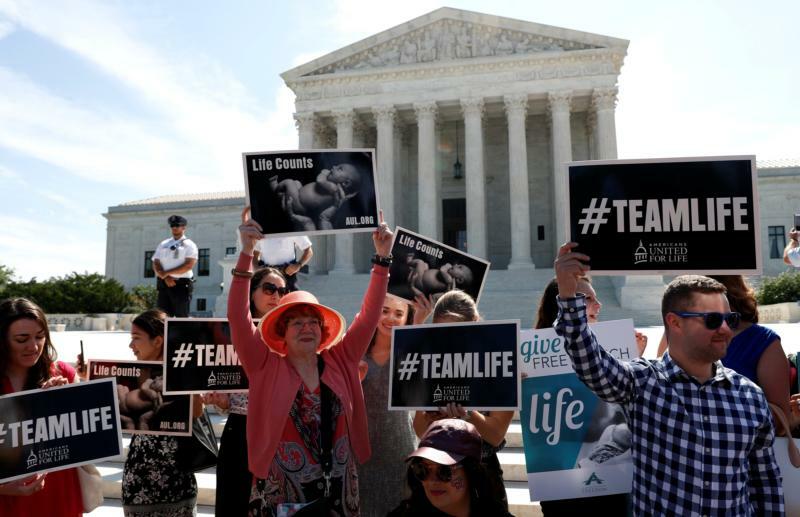 UPDATED – WASHINGTON (CNS) — The president of the U.S. Conference of Catholic Bishops urged U.S. senators July 6 not to support using the Roe v. Wade decision legalizing abortion as a litmus test for confirming judicial nominees. Cardinal Daniel N. DiNardo of Galveston-Houston wrote to members of the Senate, which will soon begin deliberations on President Donald Trump’s nominee to fill the vacancy being left on the Supreme Court by the retirement of Justice Anthony Kennedy. Trump said he will announce his choice for the court July 9. He pointed to polls taken over the past few decades that show that most Americans oppose Roe’s provision for unlimited abortion. The cardinal also called attention to a growing number of state legislatures that have passed pro-life laws. “Even legal scholars who support abortion have criticized Roe for not being grounded in the U.S. Constitution,” he said. Civil society “will be all the poorer” if the Senate rejects well-qualified judicial nominees “whose consciences have been formed in this ethic,” Cardinal DiNardo said. PREVIOUS: Work requirements to qualify for government aid: How well does it work?